Edna (Cooper) Eggleston Haws, born Nov. 10, 1923, passed away Jan. 6, 2019 in Susanville, California. Edna lived a wonderful life, moving to Los Angeles after her 1942 graduation from Westwood High School, where she worked in the blueprint room of the WW-II Spruce Goose. She eventually returned to Westwood and married her high school sweetheart, Kenneth G. Eggleston. In Edna’s final decade of life, her eldest grandson, Justin Vetter, and loving wife, Alicia, along with their two children, graciously cared for her in her own home up until her time of death. During these years, Edna traveled between her son’s and her daughter’s homes in Alaska, Washington and California. 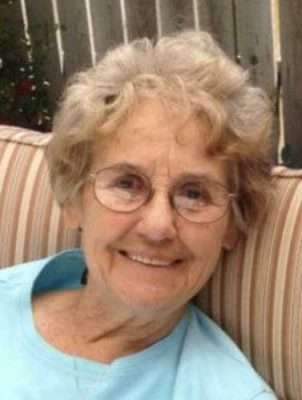 Edna’s favorite hobbies included golfing, bowling and spending time with her grandchildren. Edna played in a Pro-Am Women’s Golf Tournament at Pebble Beach and enjoyed tournaments around the state. Edna spent most of her life caring for two generations of children in Susanville as a licensed day care provider, known as Grandma Edna’s Daycare. Edna is survived by her three children, Kenneth Eggleston, of Willow, Alaska; Gil Eggleston, of Leavenworth, Washington; and Kimberly Hoover, of Roseville, California; seven grandchildren, and 12 great-grandchildren. The family has planned a memorial service in the Spring of 2019. 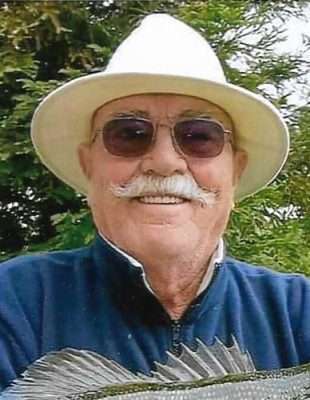 Raymond Frank Diermier, 91, of Camarillo, California, passed away at home Feb. 12, 2019. Raymond was born in Ventura July 4, 1927 to Frank Diermier and Dorothy Longbrake Diermier, of South Dakota. The second of four children, Raymond grew up in Ventura playing in the river bottom and hunting in the foothills. He attended Holy Cross Elementary School and Ventura High School where he was a running back on the high school football team. After serving in the Navy during World War II, Raymond married the love of his life, Mary Catherine (Katie) Vett, and together they raised three boys, Dave, Robert Dale and Richard Ray. Raymond was a devoted husband, father, grandfather and great-grandfather. He shared his love of sports, camping and fishing with his sons and was active in his church and the Knights of Columbus. “Grandpa Ray” was a favorite of his grandchildren and great-grandchildren with his mysterious Hooey Stick, and he enjoyed attending their birthdays, school events and games. After a career with Offshore Crane, Raymond retired to Susanville, California where he worked as a school bus driver for several years before beginning his third career as the small business owner of Diermier Mini Storage. Raymond returned to his roots in Ventura County in 2011 retiring for the third and final time to Leisure Village. Raymond is survived by his sons; his brother, Tom Diermier; nine grandchildren; and 26 great-grandchildren. He is preceded in death by his wife; parents; and sisters, Dorothy Lou Perry and Mary Ellen Lauer. Family and friends are invited to visiting hours at 5 to 8 p.m. Tuesday, Feb. 19, 2019, in the Joseph P. Reardon Funeral Home & Cremation Service, 757 E. Main St., Ventura, where there will be a Celebration of Life at 6:30 p.m. A Funeral Mass of Christian Burial will be celebrated at 10 a.m. Wednesday, Feb. 20, 2019 in San Buenaventura Mission, 211 E. Main St. Interment with Military Honors will be at 1 p.m. Thursday, Feb. 21, 2019 at Ivy Lawn Memorial Park, 5400 Valentine Road, Ventura.